Tanner is in the court room everyone. What is she doing there? 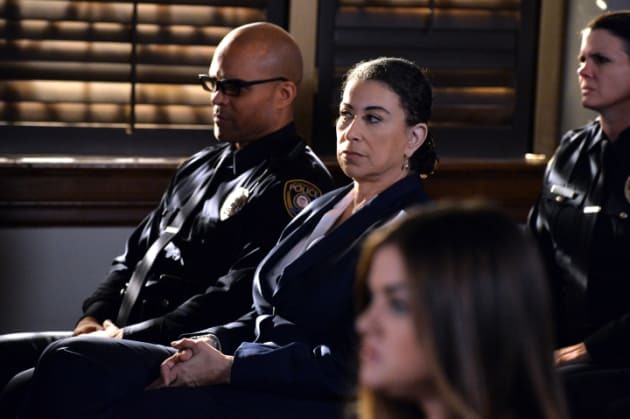 Pretty Little Liars Season 5 Episode 24: "I'm a Good Girl, I Am"